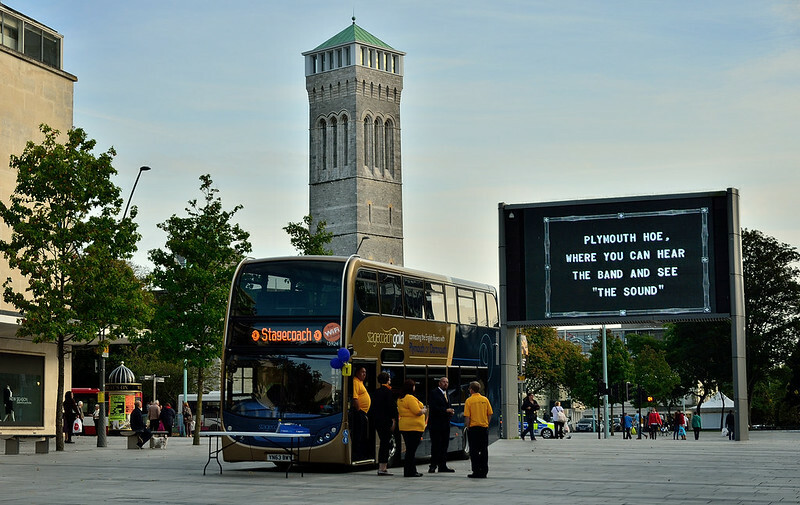 Promotional event for Stagecoach's Gold service which commences Monday 30th September. Scania 15924 YN63BWY is the bus which has been doing the rounds, the locals seemed interested probably amazed at seeing such a new bus! PCB have shot themselves in the foot with their service 12 timetables. Its supposed to be £4.20 day-rider not £6.30 as stated in the timetable! I see people are moaning about the new gold service already. Either getting their children to Totnes for school far too early or after school has started. And people used to moan about the X80?? I can kind of see their point but Stagecoach were not to know that First would pull out quite so quickly. It remains to be seen if Stagecoach look to fill in the gaps and maybe run a few extra school runs. You have to give Stagecoach credit for producing a competing service that didn't clash with First's departure times but filled the gaps betweeen their journeys. As you say, Graham, they probably didn't expect First to give up before the Gold buses even hit the road. The result is now that Stagecoach's timetable is half-an hour adrift of the optimum times. Not really their fault but logically, you would expect that they will shortly look to make some adjustments. These moans were predictable once First said they were giving up but it seems unfair to berate Stagecoach for First's decision to pull their buses off the route .